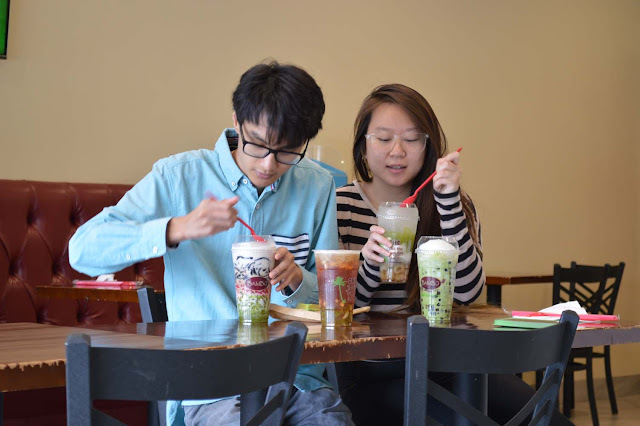 Chè, or Vietnamese Dessert Soup, Is A Must-Try! 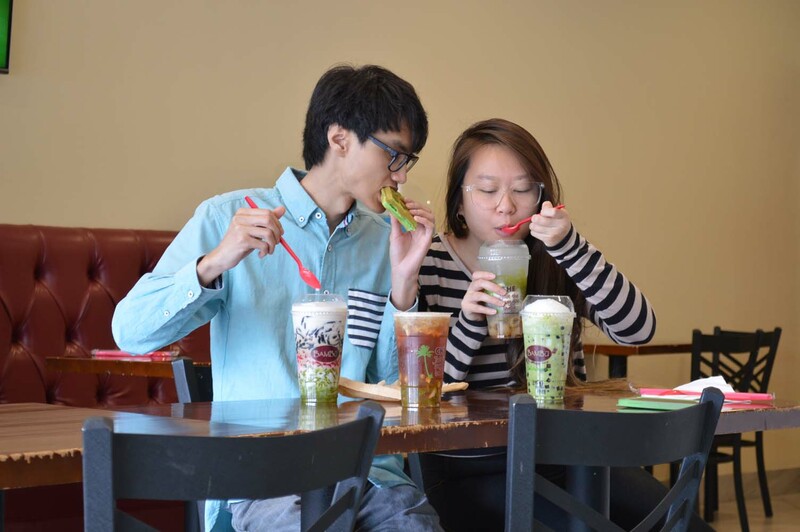 You Can Get It At Bambu - EAT WITH HOP! The inside is spacious! Lots of seating! Apparently... they have wifi too! Omg new study spot anybody? Because every other place in this plaza has no wifi. Not 7 Leaves. Not even Lollicup. Bambu.... is the spot to go. GO GO GO ! For the WI-FI! 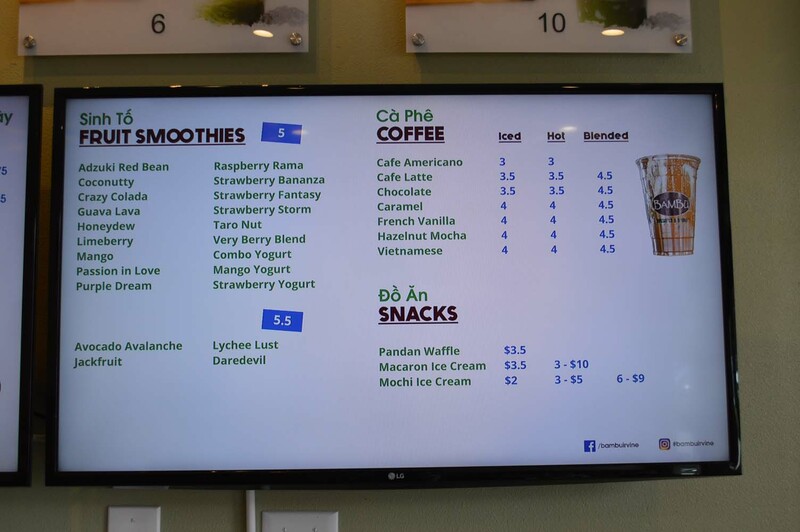 Here are photos of the menu for your convenience! You're welcome! I love these pandas. They look familiar... like probaly from Daiso. SO SO CUTE! 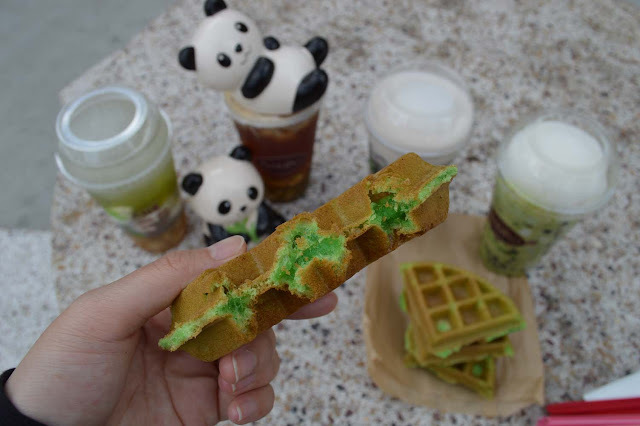 FRESH PANDAN WAFFLES! YASSSSS ! I grew up eating Chè. Every weekend my parents would take me to Banh Mi Che Cali in Little Saigon (Westmninster) and we'd order the usual: Corn, Taro, Rice Pudding, and Thai Chè. It was always my favorite time of the week. 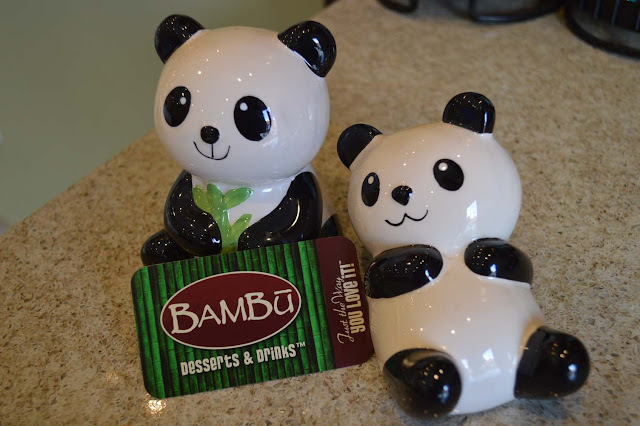 When Bambu opened, I was excited. I had heard of their unlimited add-ons and wasn't sure how that worked. But it was a cool concept anyway. 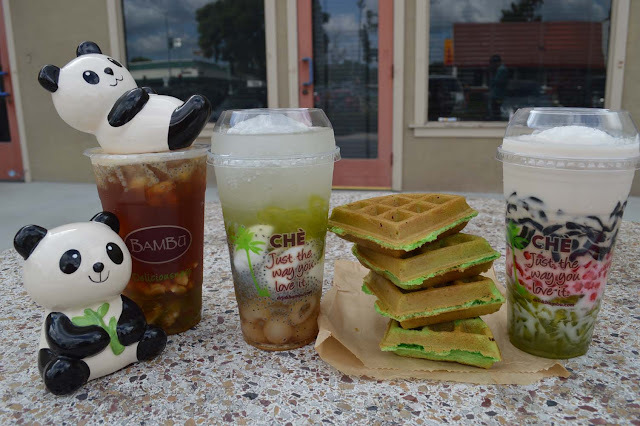 So when I finally tried Bambu in Little Saigon, I got soo many toppings. All the boba. All the jellies. All of it! Okay, not really. Because more toppings equals less of the actual dessert / drink. Recently, I took Kevin to Bambu in Irvine. 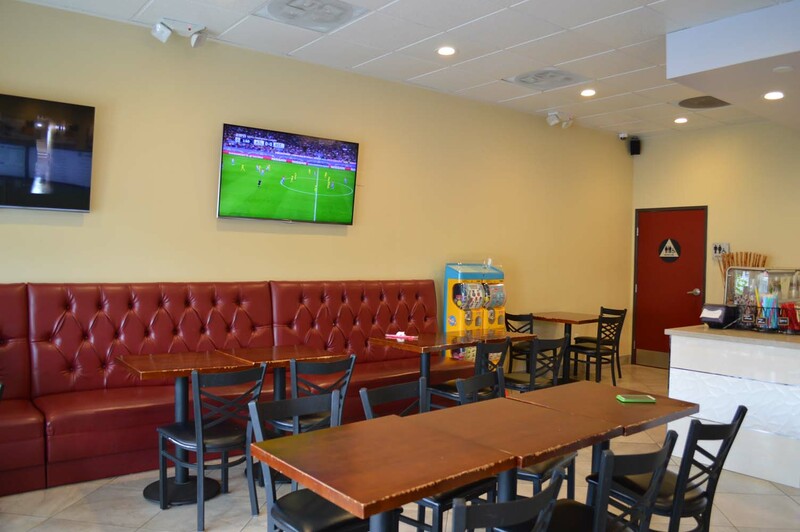 This location is also in a very crowded plaza as is the Little Saigon location. The store is spacious and customer service is GREAT! Menu seems to have expanded from when I first visited in like... high-school. I was so excited to try it all! Fresh Pandan Coconut Waffle ($3.50) : So so good! It was fresh out of the waffle maker and was warm and crispy! Definitely recommend! Smashed Avocado (Bo Dam) ($5.75): I love avocado anything. Avocado smoothies (yes, it's good. Try it! ), avocado with sugar and condensed milk, guacamole and more! Smashed Avocado is another Vietnamese dessert that I usually eat with ice and condensed milk too. 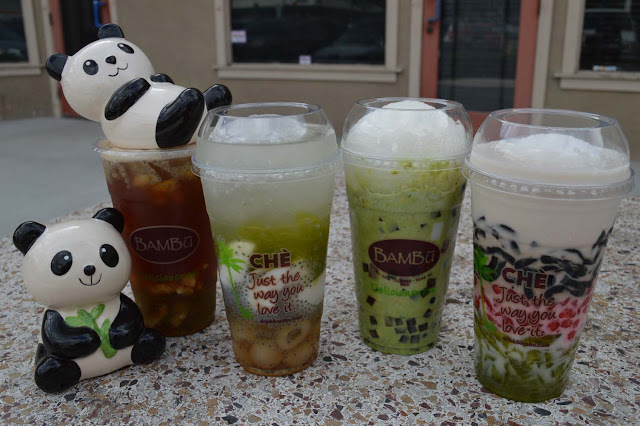 Bambu makes it extra special though by adding condensed milk, boba, and coffee jelly! Bambu Favorite ($5) : This has coconut juice, coconut meat, basil seeds, longan and pandan jelly. 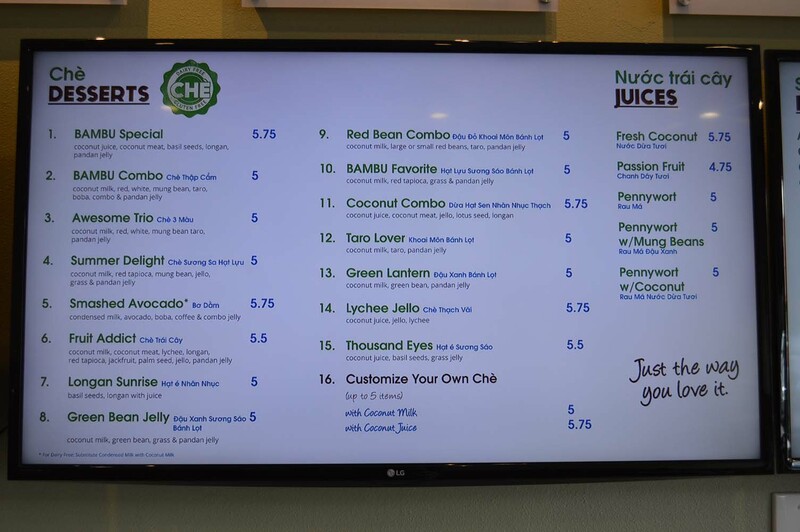 I absolutely love fresh coconut juice so this is a must to order for me! Super refreshing and yummy. 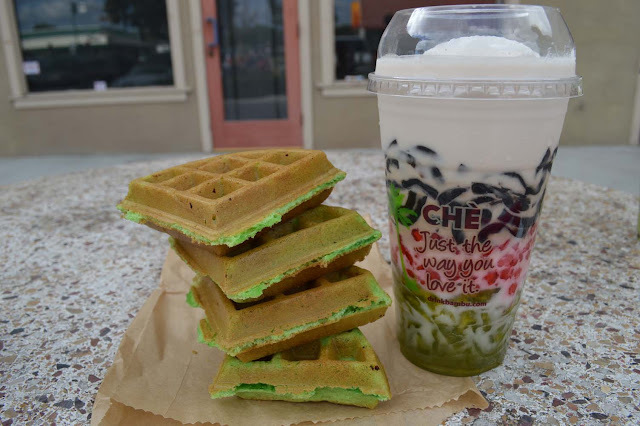 Bambu Combo (Hot Luu Suong Sao Banh Lot) ($5.75) : This has coconut milk, red tapioca (pomegrante), coconut meat, grass and pandan jelly. This is one of the most popular items! This has a lot of stuff goin` on that you might be overwhelmed. But it's so good! Trust me! It's like chewy slimy things with coconut milk all up in your mouth. Refreshing with all the crushed ice! Customized Tea ($4.50) : We got the black,,peach tea? 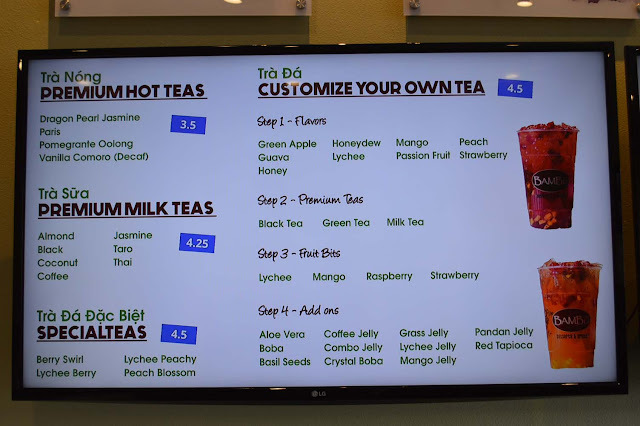 Mango Tea? Strawberry tea ?!... shizzz.. I totally forgot T___T ! We also got a whole bunch of add-ons because... unlimited. 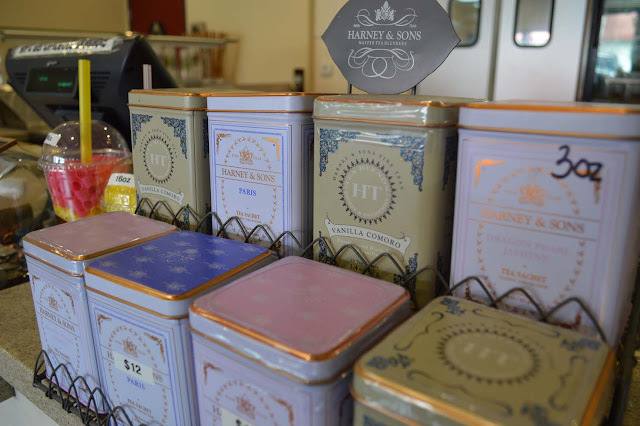 The tea itself was good. Sorta sweet. I felt like I was more so... eating it ? Since of all the add-ons we got! All of the Vietnamese desserts come with crushed ice! And a slurpee straw so you can drink and eat the dessert! Perfect for a hot day! 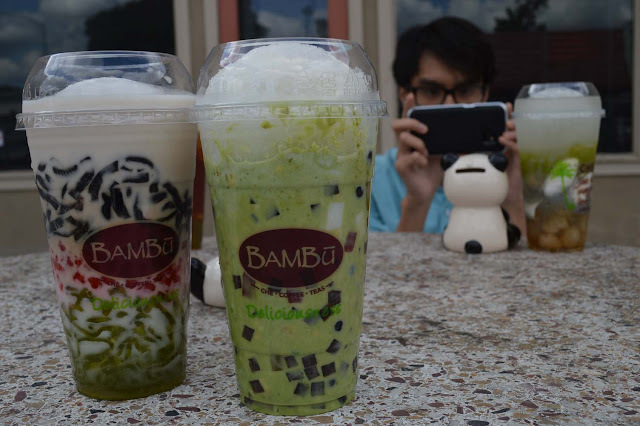 Bambu is definitely one of those places I recommend to everybody. All the stuff here is delicious and refreshing! But to say that it is authentically Vietnamese? Erm... Let's say this place is not the traditional type of Chè. 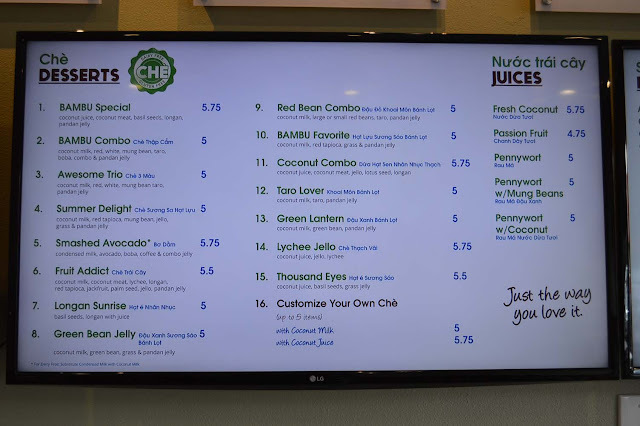 Don't go here expecting che like Banh Mi Che Cali or Thach Che Hien Khanh. It's not the same. The desserts here are more like Chè inspired. They come in drink form to eat and drink. 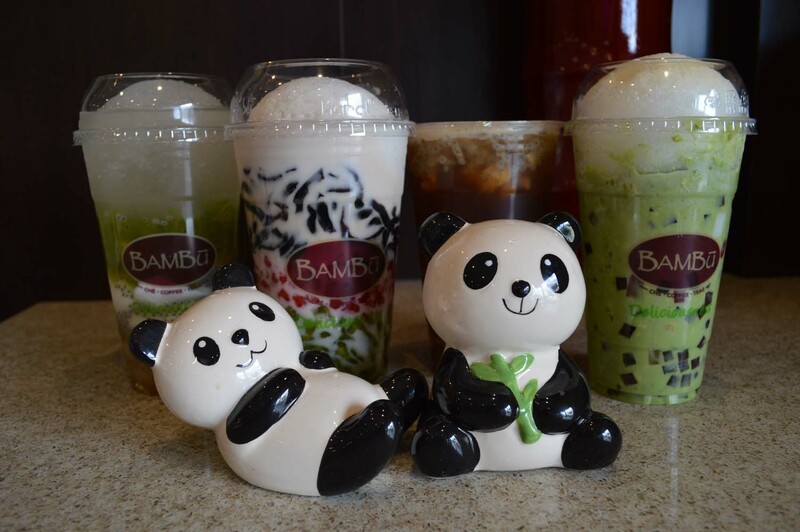 And I would say, Bambu is more of a .... place that non-viet people won't be lost at kinda place. Don't worry. You don't need to know any Viet here! If ya know what I mean...ya? Parking is cray. Good Luck at peak hours.